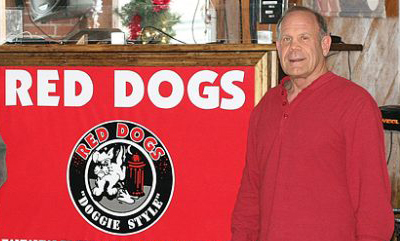 Charlie Maultsby, owner of Red Dogs in Wrightsville Beach from 1975 - 2016, died on Feb. 1, 2019. Charlie Maultsby — known for building and operating legendary local nightclubs The Mad Monk in Wilmington and Red Dogs in Wrightsville Beach — has died. He was 69. 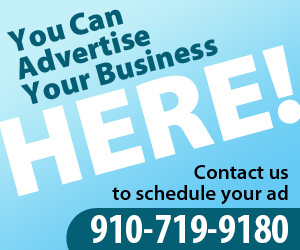 Several friends of Maultsby have told Lumina News that he died at his Wilmington home on the evening of Friday, Feb. 1. Wrightsville Beach will remember Maultsby as the man who owned and operated Red Dogs for 41 years, from its 1975 beginnings as a beach bar with a jukebox catering to the “pink and green, penny loafer, yuppie crowd” until 2016, having transformed it into a modern, sometimes controversial nightclub catering to a college crowd. For many, the iconic Red Dogs was a necessary stop in any visit to Wrightsville Beach. The irrepressible Maultsby was also renowned for his fights with the Wrightsville Beach town government, time and again besting the town in disputes with the N.C Alcohol Beverage Control Commission over his liquor license. Most recently, he won a battle to retain his license in early 2016, the last in many run-ins with the town, starting with his efforts to start serving liquor in 1991. He also faced a challenge from the town in 2000 when he expanded into the second floor of its location on 5 N Lumina Ave. In a 2016 interview with Lumina News, Maultsby bragged about how he had beaten the town after it spent $150,000 in legal fees in an effort to shut the bar down, while his legal fees were less than half that. An institution in Wrightsville Beach, Maultsby proudly touted the notoriety the bar had achieved in Wilmington and beyond. “Everybody all over the state knows Red Dogs,” Maultsby said in 2016, adding that several University of North Carolina athletes had made stops in the club. Maultsby was also known for his ownership of the Mad Monk, a Wilmington nightclub that drew national acts, from punk band the Ramones to local favorite Hootie and the Blowfish. The original Mad Monk location on Market Street burned down in 1992, forcing Maultsby to move it to the College Road location where Ten Pin Alley now operates, before closing it for good in 1996. In his 2016 interview with Lumina News, speaking about his 41-year career, reflected on how much he enjoyed living in the Wilmington area and enjoyed being a bar owner.